Monday, January 8th, 2525 :"The Battle of Sixty-Two Moons"
On Monday, T.A.F. officials reports that nearly one-hundred-and-fifty pirate crafts attacked Saturn’s orbiting satellites which are directly responsible for communicating with the T.A.F.’s outermost military stations. This is the closest assault to Earth that pirates have initiated since the bombing of the Mars ore mines nearly thirteen years ago to the day. Fortunately, a small flight of twenty nearby T.A.F. Wasp fighters were able to fend off the make-shift pirate vehicles until patrol frigates could arrive. Officials estimate that out of the hundred plus pirate ships, sixty-three were destroyed, while only sixteen defenders and three satellites. Of the almost ninety pirates who withdrew, another fourteen were captured. Experts say that the pirates are part of the infamous “The Conquistadors”, a raider faction ran by the infamous Captain Francisco "The Dapper" Vasquez. The attacks are allegedly in response to the assassination of Francisco’s underling, Zeek Alvarez, who was killed on Bacchus after he was caught recruiting citizens for his crew. Military spokespersons claim that the pirates had snuck past protective sensors by planning it during top secret, wide scale maintenance initiative, then circumnavigated past security barricades by traveling dangerously close behind the Aegis comet. New measures are now being taken to stop the tactic from ever repeating itself, and investigation teams are meticulously questioning anyone who may have leaked information about the maintenance event to pirate crews. Meanwhile, galactic admiration has been expressed for the brave pilots who defended the satellites, especially the outnumbered Wasp flight who bravely went into the fray outmanned. In particular, a one Lance Corporal Garret Weller, son of war hero and Marshal Logan Weller, is being applauded for his part in the small battle. The pilot destroyed three fighters on his own and disabled another six. More importantly, his speedy operation of his fighter kept pirates busy and away from the vital communication devices orbiting Saturn. 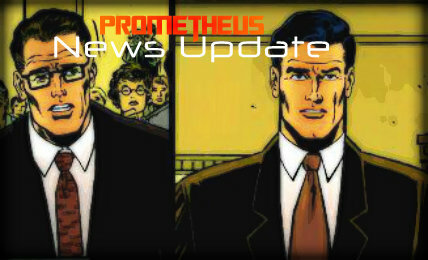 Monday, January 8th, 2525: "Mason Brothers Relased on Bond"
Sixteen months ago the Mason Brothers, two successful Project Managers for Prometheus’s Construction Branch, were being prosecuted for corruption, bribery, theft and fraud charges within the Prometheus Corporate Courts. They had been caught red handed smuggling and selling surplus building materials to the black markets, making nearly seven-million capital in the process. Tony and Darren Mason had pled guilty, admitting to falsifying inventory documentations in order to secretly transport the equipment off to buyers without difficulty. Today however, these men have been set free on what appears to be a loophole in the corporate law system. The two brothers were released, and required back into their former management positions due to a company mandate that demands proof of illegal acts. Though the men pleaded guilty, since there was no proof of smuggling or witness statements (only missing merchandise), corporate arbitrators had no choice but to release the men after serving only 1.25 of their ten year sentences. The Mason Brothers; lawyer, Samuel Dylan, had this to say. While both men have proven to have ties to the black markets, either physical proof, such as video recordings, or first-hand witness, such as the smugglers involved, must stand trial against the men for the brothers to live out the remainder of their sentences. With nothing forthcoming, it appears that both men, due to their resourceful lawyer, will be returning to their corporate positions as if nothing had happened. And though some feel that this is a mockery of the corporate court systems, others say that these two possibly guilty men seeing freedom ensures that all those who are prosecuted in the future do not suffer from undeserved retribution for crimes they did not commit. Tuesday, January 9th, 2525 :"Interviewing a Hero"
With the Battle of Sixty-Two Moons only a day old and questions still rising, T.A.F. citizens are not only questioning "What happened", but "Who made it happen"? While it's clear that Captain Francisco "The Dapper" Vasquez, pirate leader, was the brains of the assault, people are still curious as to who was the heart of the defense. That is until today. We've connected with the brave hornet-class pilot, Lance Corporal Garret Weller, man responsible for destroying three pirate crafts, disabling another six, and creating a distraction that allowed T.A.F. reinforcements to arrive in time to drive off the pirate attack. For his bravery, he was rewarded with not only a ceremony on Earth, but a request for T.A.F. Galactic Marshal status. While it was an all around overwhelming day for the young pilot, we were able to speak with him and he had this to say. REPORTER: "Garret, what were you thinking when you first heard the sirens that signaled the attack?" WELLER: "To be honest, I thought it was just another exercise until the pirates started shooting back. From there you just let your instincts kick in. It's what the T.A.F. trained us in." REPORTER: "Did you ever think that you'd become a hero when you were barrel rolling between pirate fighters?" WELLER: "No, I was just trying to do my civic duty. We lost a few good men. I think I was just concentrating on protecting my fellow comrades to the best of my ability." REPORTER: You're the son of famed Marshal Logan Weller. Do you think it was destiny that you would be rewarded with a chance to follow in his footsteps as a Space Marshal?" WELLER: "Not at all. I don't believe in destiny, just dedication. However, on that note, being offered such a prize position is a great honor and I feel it is worthy of my best commitments. If I only am as half as good as my father, it will be a great honor." REPORTER: "Did you ever imagine that your career would steer you in this direction?" WELLER: "No, but then again, that's the wonderful thing about having a career in the T.A.F. You never know where it's going to take you. However, so long as you serve with dedication and loyalty, you should always expect a future filled with glory, duty and respect." REPORTER: "Were you reluctant about taking the Marshal Star? It is a deadly career." WELLER: "Heh, you should try flying a practically armor-less vehicle into a dog fight." REPORTER: "I know you need to go and meet with your Commander, but if I could just have one last question; What would you say is next for the promising career of Marshal Garret Weller?" WELLER: "I'm going to study for a few weeks. You can't just dive into something like being a Marshal. It takes great discipline and understanding of what is expected of you AND what the rules are." REPORTER: "Thanks so much for your time Marshal Weller. We wish you good luck." WELLER: "The pleasure is all mine." “Thanks be praised,” exclaimed a worshipper after Thursday morning’s attacks. The peaceful community of the Vishnu 10, a H.O.V. church community on the northern banks of Epsilon Eridani B, were in a peaceful mass around 9 a.m. when Ullitor tribal extremists decided to storm the church, attacking those inside, including women, children, and the elderly. They’d taken the group hostage, demanding that law enforcement meet their undisclosed demands or face the consequences. T.A.F. Law Enforcement were at a stand off for several hours, convincing the dozen tribe members to release some of the youths and handicapped, before things went awry. That’s when the tribal terrorists decided to execute the H.O.V. leader of the community, 39 year old Pastor Sam Barker, in front of his congregation. From there, civilians inside began to rush out, and several more were wounded as they fled to the safety of police vehicles. Shots were then exchanged between both sides that quieted after several minutes, initiating a new, less lenient negotiation. For ten hours more the stalemate between Law Enforcement and Ullitor radicals went on, until finally it was deemed that the fanatics were not going to surrender. That’s when, as luck would have it, a group of T.A.F. 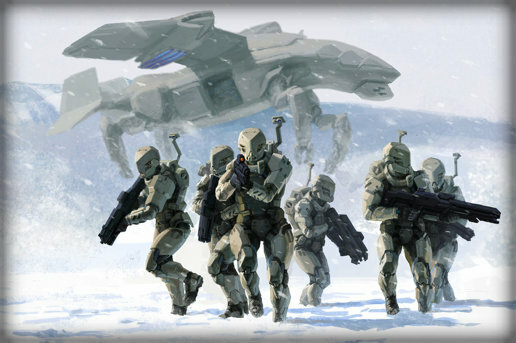 Special Forces Ice Hounds who were visiting Epsilon Eridani B were contacted and requested to help aid with the scene. The squad of seven Ice Hounds ceased all negotiations, leading an assault that quickly transformed into a deadly firefight. After only six minutes, the nearly half day crime spree was extinguished, as all twelve members of the Ullitor sect were killed in the violent clash. Meanwhile, investigators are trying to put together the pieces as to why these normally impartial Ullitor tribesmen were so quick to act to violence without warning. In the meantime, services will be had for Pastor Sam Barker, and donates are being requested for anyone who would like to help with the relief funds for survivors of this terrible tragedy. Wednesday, February 28th, 2525 A.D. It was just an ordinary day for Prometheus Space Station 81c on Tuesday. Broadcasted communications were properly dispatched to-and-from earth's system, transport ships refueled, and supply inventories were freshly delivered in order to house the crew onboard for another six months. Then, unexpectedly, nearly all power went down for the space station, and an ambushing party of raiders boarded the Prometheus base. The marauders were none other than the bold Aifor pirates, a norse band of murders lead by the notorious Captain Bothvar Haklang. Bothvar had been wanted for several other raids within the Crux-Scutum Arm, and earned his way to the Milky Way's top twenty-five most wanted. Within minutes, he and his vikings had defeated what few hornet-class fighters were dispatched and breached the Space Station. Luckily, the defenses of the security teams inside were able to fight off the Aifor raiders, and soon the attack was over. However, the lives and expenses it cost to withstand the onslaught were immense, and soon, the Prometheus Board of Crux-Scutum Defense were looking for answers. From what they could tell, the newly appointed Director of Crux-Scutum Security, Samuel Hogan, had grossly misplaced his blockade crews, allowing for the aggressive pirates to have at Prometheus Space Station 81c. This is not the first time that Hogan had been accused of misuse of protective resources, but it would be the final straw. Hogan would step down on Tuesday, after only nine months of service. 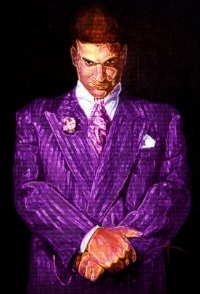 Hogan had been accused of several earlier corruption charges, including making deals with Hades crime syndicates. He is suspected to have allowed several pirate organizations to slip past his defenses during the Battle of Sixty-Two Moons, and has let pirate activity increase by twenty-one percent within his tenure. 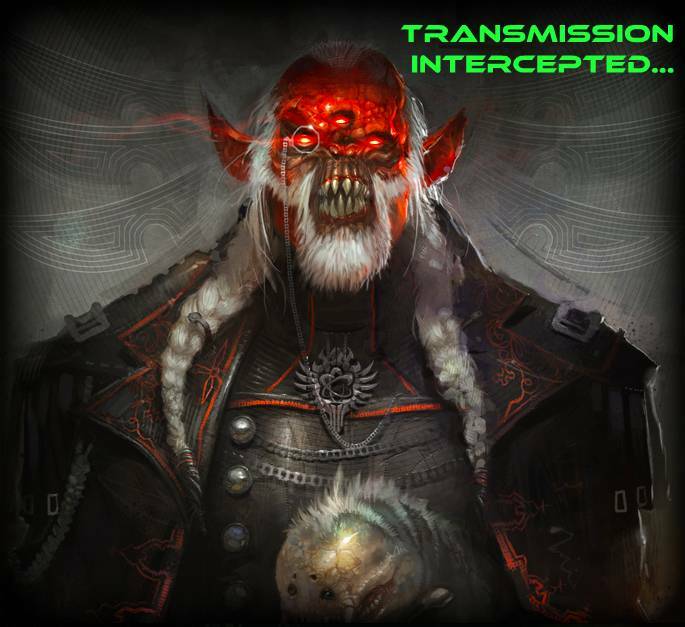 Samuel will be replaced by former Director of Crux-Scutum Security, Dorian Lovecraft. Lovecraft had resigned from the position after allowing the Prometheus Space Mall , 12Q, to be attacked by possibly the same raiders in question. However, his six years as director before the attack showed great amounts of stability, which the Prometheus Board of Defense feels is needed once more in order to keep the spaceways safe. Lovecraft already has promised to take a more hands on stance towards these raiders, and has promised to do everything in his power to make his second time in office more effective then the Crux-Scutum Arm has ever seen. Wednesday, February 28th, 2525 :"Prometheus Unveils Their Latest Galactic Defense Weapons"
During this morning's Terran Alliance Summit, Prometheus Chairman Tom Kearney, unveiled the galactic corporation's latest design in Milky Way defense. The massive Imperial ship sized automaton dubbed "Eurymedon" (after the greek king of the giants) is said to give the corporation a new line of defense against piracy, especially within the Crux-Scutum and Carina-Saggitarius arms of the galaxy. While many were in awe by the digital feed that Kearney presented, a few T.A.F. and H.O.V. representatives were outraged that the company had secretly been working on the project without permission from the Terran Alliance. The massive robot is nearly thirty stories high and eight wide. It can be controlled remotely or through advanced rigging from inside the vehicle. Eurymedon has six massive laser cannons, three point defense guns, three sensor probe archers, two torpedo launchers, and a tracking beam. It has advanced plasma shield capabilities, life support systems, and storage units that can carry a crew of fifty within its chest, shoulders, and thigh appendages. The vehicle has landing capabilities, interstellar drives, and hand grip technology which can help the robot grapple or manipulate enemy ships and space rubble. While Chairman Kearny wishes to launch the vehicle immediately, experts say that it may be sometime before the prototype will be permitted to do so by Terran Alliance judicial courts. Though Kearny is overly enthused to talk about his project, stating that it is, "The best thing since discovering Hexisan", his fellow chairmen had little to say. Some rumors persist that the rest of the board were unaware of the project, as their mystified expressions were recorded during the vehicle's unveiling. Yet, for as much as Prometheus may be ostracized for their clandestine work, certain Hexisan Council members have applauded the project, as the robot uses recently handed down alien design, but for new purpose. It might be this support that helps Kearny and his corporation get the project off the ground, and fighting throughout the Milky Way. The T.A.F. has launched his second wave of Imperial Class fighters to the Norma Arm in a strategy to reinforce its initial force sent in late January. “The Fear of the North”, one of two Zues Machina warships owned by the T.A.F., will be leaving Earth’s system on Friday. The crew of 36,000 and 9,000 foot troops, will be escorted by two military carriers, each with 114 crew members and 25 hornet class fighters. It will join “The Cry of Atlantis”, a 665 person Blockade Runner, and its two escorting military carriers which are already in travel. Estimates predict that wave one will arrive by early April, while “The Fear of the North” fleet will arrive in late April to early May. These two entities will be in charge of clearing out the Pirate Asteroid Belt, a massive rock formation that has been hiding pirate ships for decades. T.A.F. military officials were split in their decision making, as many of them wanted to amass one large waive which could leave all at once. But doing so would allow the pirates of Protega to gather several months of intelligence, as “The Fear of the North” needs several weeks of preparation. So instead, commanding representatives sent a formidable 1st wave to create a barricade near the meteor belt. One that would destroy any vessels that may try and swell pirate ranks hiding inside the belt. T.A.F. senior leaders placed General Ashton Phane as commanding officer during this operation. 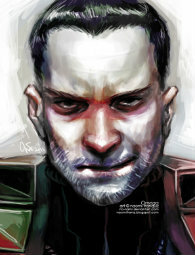 General Ryker earned his position five years ago for his involvement in the Eskidian campaign. When eight of the finest martial artists in the Milky Way gathered on Hades 13 twenty years ago, no one thought it would evolve into one of the most anticipated tournaments within the Norma Arm. The congregation of monks, senseis, bladesmen, and jousters wanted to simply find out who was the best close quarter combat expert by not only putting themselves against one another, but against external challenges as well. There, in a piece of rented land, they battled it out in head to head while avoiding constructed obstacles and chained beasts. While they received their answer as to who was best, what they didn’t expect was the large crowd that their fights gathered. Hundreds of curious onlookers arrived and began recording the fights, placing bets, and cheering on their favorite contenders. So, the next year, a group of private investors organized for the original cast of fighters to return while publicly promoting the event as the 2nd Annual “Zenith Warrior Tournament”. 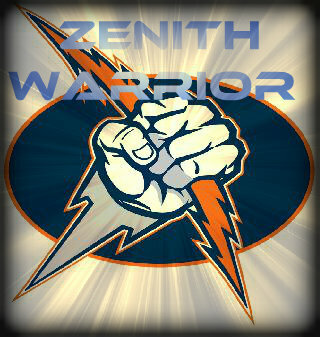 Today, the Zenith Warrior tournament is known as one of the most upright and honest contests. 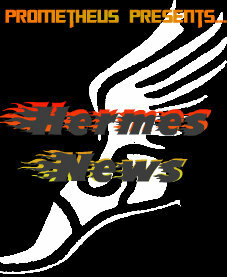 It has climbed up the food chain as the second most televised events in the Norma Arm, behind the Marauder Races. The two sports organizations have worked out a program that allows the Zenith Warrior Tournament to open up for the Marauder Races, sharing many of the same sponsors, merchandise, and profits. Many of the Zenith Warrior’s prizes include winnings such as tickets to the Marauders Races or signed memorabilia from their beloved racers. A package that keeps both the most truthful close quarter tournament and deadliest race competition happy. *Slay a Tarrasque, a massive and deadly creature of Naxos, with only close quarter weaponry (any questionable circumstances will automatically be disqualified such as drugging of the beast, trapping it, or combating a calfling). *Survive a hostile wild environment without any provided food, water, or special equipment (though they can use their armor or close quarter armaments). *A Terran Alliance approved custom identification program which alerts anyone who scans the winner’s identification data that they are the 2525 AD Zenith Warrior Champion. *A contestant can bring in either one large melee weapon (swords, spears, axes) or two small melee weapons (daggers, throwing disks, wrist claws) per pair of hands that they own (so Naga or those with cybernetic arms can X2). *Contestants can use one set of armor which must be inspected by officials before usage. Flight capabilities are not allowed, though jump booster suits, magnetic boots, and stealth equipment are. *Combatants will have life monitors attached to them. If a character is deemed unable to fight due to injuries, they are automatically disqualified and the match ends. *While death is a possibility, those competitors who maliciously attempt to slay their opponents without mandatory mercy during opportunities of submission, will be thrown out of the tournament. The retired athlete of Earth’s “Starball” and lead hunk for the “Victory Crown” action movies (1-10) has finally decided to put his bid in for the Zenith Tournament after years of pestering from adored fans. “It was only a matter of time before I entered,” quoted Corwin during a press conference. By far, Corwin is the biggest fan favorite, and has had hundreds of attendees watch as he publicly completed each of his required tasks in order to enter the tourney. Corwin plans on donating all if his proceeds to the Hades charities for orphaned children, an act that has many joining the Victory bandwagon. Naycan Rojion (Nay-Can Row-G-On) is a Novacon warrior of the Roijion War Clan. The Roijions, a kinfolk of agricultural experts, practice the martial art of Tay’foux (Tay-Fox), a scythe/spear based fighting style developed by Novacon farmers. Naycan, is a master of this art, and has used this reach based technique to win numerous fighting contests in Hexisan. He’s had multiple cybernetic and bionetic implants, and is also an acceptable authority of the psionic ability, Agrokinesis. While no one is certain how Naycan arrived in the Milky Way, especially because he does not have peripatetic rites, it’s rumored that he was smuggled out of Hexisan by the infamous Altarian smuggler, Deyasha “The Red Specter” Coo-Hinya. Corporal Rongo Taine is an Ullitor and former soldier of the T.A.F. He entered the tournament after winning the T.A.F. “Eagle Strike” competitions in Earth’s Solar System (a competition that takes place for three months with over ten-thousand fighters). He’s an expert with his fists, and extremely athletic. His father, Kulocke Taine, is a former “Frost Fights” champion, and has taught Rongo the tribal striking art of Drazziloff (Drazz-Ill-Off), a punching method that teaches users how to smash or shatter inanimate objects with their body. This ancient art was used by Tribal Ullitors to tunnel through ice long before humans introduced modern Earth tools. He’s used all of his earnings from the Eagle Strike competition to travel the Milky Way and complete the necessary tasks in order to enter the Zenith Warrior Tournament. Most remarkably, Rongo was able to shatter down an Iron Tree of the planet Aidos with only his fists. Zitobo Moriatox (Zit-oh-bow More-E-tox) is a Solin weapon expert who is a master with “Magnetic Disk Blades”. Zitobo uses two blades, one for each hand, and can employ the disks with astonishing speed. Moriatox has also had special cybernetic boosters installed to make him incredibly fast on his feet, allowing him to keep great distances against opponents as he hurls his blades at them. Zitobo grew up in the wilds of Helios, and excels as slaying large beasts of the wastelands. So it was no wonder the Solin blade specialist destroyed the Tarrasque needed in order to enter the Zenith Warrior Tournaments in record time. Not much is known about the Jade Samurai. 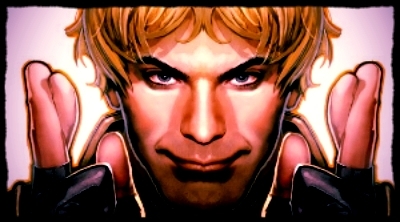 This mysterious human entered only recently, but judges of the Zenith Warrior Tournament have confirmed that he has completed all of the requirements necessary in order to compete. 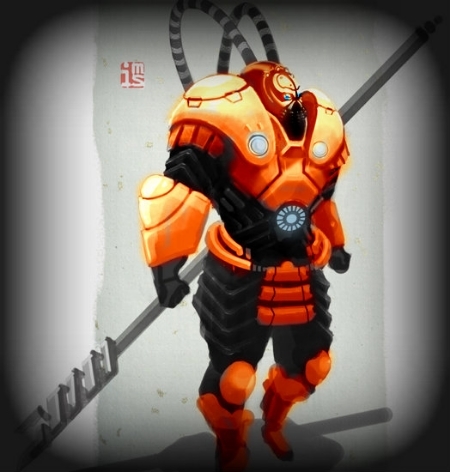 The Jade Samurai is registered as a master swordsman, using a finely forged katana as his weapon of choice. His private funders have asked to not be mentioned as well, which only adds to the thrilling potential of this very obscure fighter. Sir Zantorian is the hero of the “Marson Moor”, where he defended the HOV Embassy against hundreds of raiders. 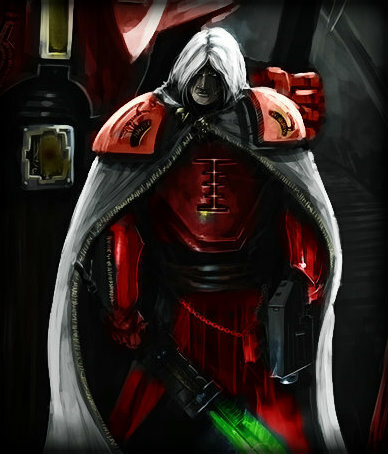 Now an Admiral for the Empyrean Legion knights (only coordinates Empyrean Legion assignments), Letholdus has traveled from his estates on Phaya to enter the Zenith Tournament. 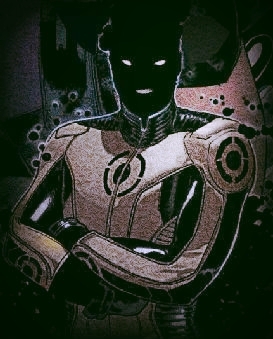 He is an expert with his smartblade “Starfire”, an inherited award that was originally presented to the HOV during their peace talks with the Hexisan Union. Letholdus is also an amazing athlete, and has received multiple cybernetic implants for his body to replace the ones he lost during the notorious battle he participated in years ago. Babith Sleetha’ is a native of Phaya, and master of swords and hand blades. For years, she trained with her father, Ucca Sleetha’, before his passing (Naga having shorter life spans than other sentient species). For the next ten years Babith served as a den protector for the violent area of Ucamba, a war torn Phaya territory where large blood bouts are everyday life. However, when her den was defeated, Babith took employment under the renown physicist and affluent Aption, Borigard Aloysius. However, now that Babith is reaching the end of her years (nearly 40 years old), she wishes to leave a legacy, and inheritance for her seven newborns. Some competitors fear that her amazing blade training, desperation to provide for her offspring, and disregard for death (since her days are already numbered) make her the contestant to watch, as she has the most riding on the Zenith Warrior Tournament. The city of Yenrian has finally opened up its massive Paladin Headquarters structure, after two years of laborious construction. The project started in 2523 A.D., after the Yenrian republic unanimously voted to not only host the militia, but also assist in additional funding. This act is a direct response to rising crime rates in Yenrian since its independence from Voniko nearly sixty years ago. Experts forecast that the republic initiative will not only decrease crime by at least 20% within five years, but also ease tensions between Yenrian supporters and Voniko loyalists. Professional social expert, Marrell Dover, had this to say. "The Yenrian Republic has made leaps and bounds by inviting the Paladin militia into its city. 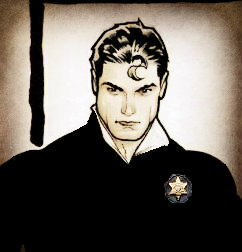 Not only will they see a serious decrease in crime, but it may stop the much more affluent and organized government of Voniko from continuing its sixty-year cold war. Nearly all of Hades (with the exception of Bolthum who uses Yunobi Security) supports the Paladin Militia as their official law enforcement organization, and many citizens have friends or loved ones who are part of the mostly volunteer force. If Voniko chooses to continue its direct aggressions, it will lose support from all the other members of the Five Cities, as well as locals of the Midway." While Voniko government has declared a concern for bias from the Paladin organization, it has remained relatively quiet about the headquarters so far. Meanwhile, the facility, dubbed "The Keep", is a 4,000,000 square feet (372,000 m2) base that will employ nearly 2,500 people and host as many as 5,700 more volunteers. It will have landing pads for over three hundred non-orbital flight patrol vehicles, and a garage for an additional five hundred ground patrol vehicles. Though this initiative has cost Yenrian nearly a quarter of its yearly budget, it may just be the decision that keeps the city-state safe from both Voniko and its suspected corruption. Since 2515 A.D., Yenrian republic representatives have whispered about a secret plot by Voniko leaders that involved destroying Yenrian from within. It is rumored that criminal syndicates, pirate affiliates, and local gangs were bribed to help stir up the demoralization of Yenrian, which would explain the recent spike in illegal activity. While Voniko representatives claim that such slander is a P.R. slandering in hopes to gain the Five Cities support, many critics beg to differ. Nevertheless, The Keep is expected to to create more jobs for locals and better Yenrian quality of life. It return it will strengthen the Paladin infrastructure and help swell ranks. 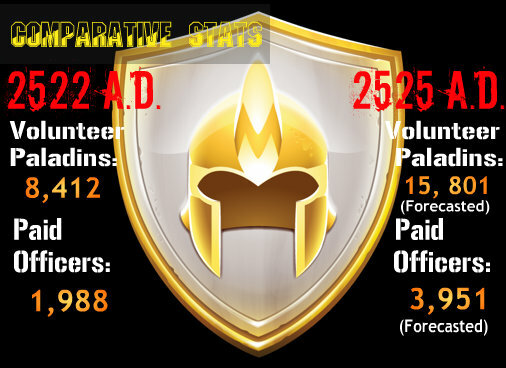 Paladin command has been in dire need of additional funding in order to help bolster volunteers. Though only one-quarter of Paladin personal are funded, the ability to promote more enlisted to paid positions will increase the amount of volunteers who swear in. With only weeks to go until the first fight, organizers are frantically doing their best to finish off all the final details of the Zenith competition. 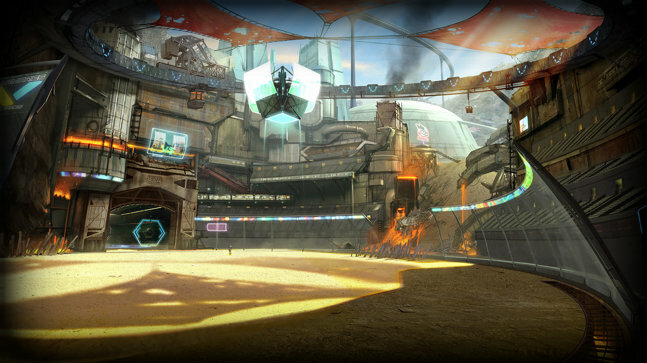 While it is customary to keep battle grounds top secret, the Zenith Tournament’s main arena has finally been unveiled. 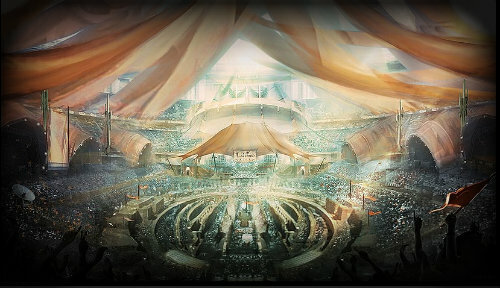 The “Lace Curtain” Coliseum has been erected in the city of Dovin, Hades 13’s oligarchy city-state. It was funded by the donations of the Dovin aristocratic circle, and has been fashioned to replicate Earth’s stadiums of old. The Lace Curtain has the capacity to hold over 80,000 fans. It has a massive hologram display setting over the main battle field, and an atmosphere generator that can make conditions challenging for competitors within the battlefield. 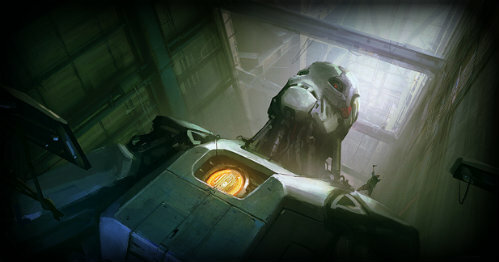 Other highlights include computers within the skybox seats that allow VIP’s to vote on what prearranged obstacles come at the competitors next, as well as databands which will allow those in the crowd to hear and see what the fighters do through nanite cameras installed on the combatants. Tickets go on sale on April 12th (or as soon as an eight competitor qualifies) with standard seating costs of 400 capital, front row seats at 1000 capital, and sky boxes ranging from 10,000-50,000 capital depending on requested luxuries. Special performances amid battles include the pop badn Ma’kat and the Trumpeteers, comedian Owen Gellhart, and illusionist Bramer Torn. Are you ready for the a tournament that tops all other tournaments? Then be there! Finally, the wait is over. 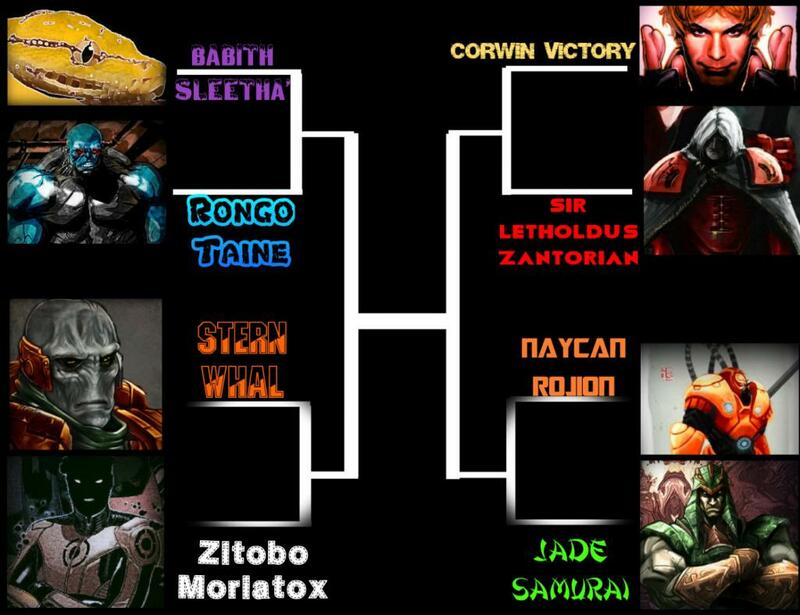 For all of you who have been waiting for the eighth, and final competitor of the Zenith Warrior Tournaments, wait no more as the combat bracket has been generated. It was confirmed today in a media update from Voniko, that the city-state's favored warrior, Stern Whal, a Novacon clan warrior from Hexisan has not only completed all three grueling tasks to enter the competition, but has done so for reasons beyond most Terran understanding. Stern Whal has declared that he is competing to raise awareness for the interests of the Hexisan Dragon Knights and the Hades city of Voniko. Supporters of Voniko were ecstatic, but others, such as Yenrian civilians had something else entirely to say. "Going on broadcasted television and declaring allegiance to a Terran dictatorship just doesn't make sense to me," says Caleb Grossman of Yenrian. "Because in my eyes what you're saying is that you support oppression. And if that's the case, I just hope that this idiot is knocked out of the games during his first fight." Though Stern Whal may be the most controversial competitor in the 2525 Zenith Tournament, he's not the only Novacon. For the first year in a row, there will be two Hexisan aliens competing, both Novacon clan warriors. Naycan Rojion is an expert spear and armor gladiator who will be entering any professional competition in the Milky Way for the first time. Not much is known about the outsider, but it could be interesting to see if the two cybernetic competitors (Whal & Naycan) are able to meet each other in the championship. Other athlete updates include Corwin Victory, who has finally announced his weapon of choice for the battle. Victory will be using a titanium staff, a speculated assumption by most fans. 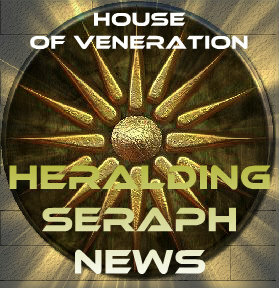 A new threat has endangered the peaceful philosophy of the House of Veneration. A threat that goes far beyond the limits of our natural beliefs. The organization known as the “Ivory Disciples” are a cult like organization of unknown origins. 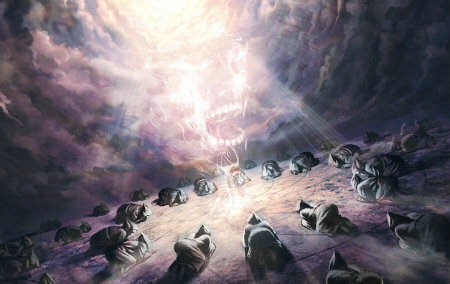 The group claims that they have been visited by the manifestation of their leader, “The White Prophet”, who guides them in their spiritual journey. His direction includes the proclaiming of a new deity, one of natural origin who is as old has creation itself. This divinity, whose symbol is a set of white crystals, is proclaimed to be the bringer of enlightenment to all his subjects. While the Ivory Disciples have been busy organizing for nearly a decade now, it’s only their recent anonymous funding which has lead to an aggressive campaign throughout both the Milky Way and parts of Hexisan. This financial support has allowed the Ivory Disciples to bare shelter, food and medicine to the sick and meager, inflating their rankings and earning more influence throughout the Protega, Hades and Phaya systems. Such would not be an issue for the H.O.V. if it were not for the denouncing of the House of Veneration’s philosophical beliefs. The Ivory Disciples claim that The White Prophet has informed them that all who worship an otherworldly God, such as the H.O.V. 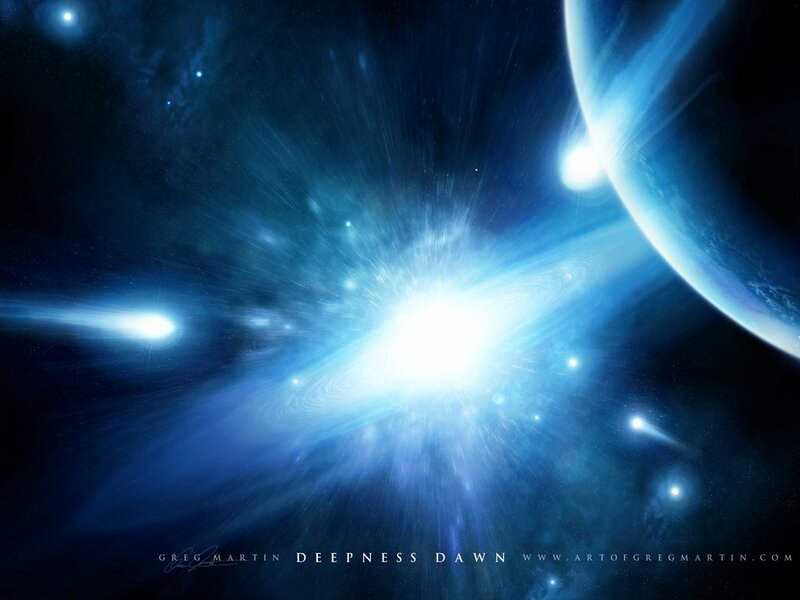 faithful do, are doomed to be destroyed once their deity makes his/her journey to our galaxy. This journey, according to the White Prophet, has already begun. 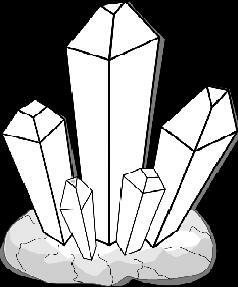 Once this crystal lord comes from the fringes of the universe, he/she will unite us all into one consciousness. This universal unification will not only help bring peace throughout the universe, but allow us to return to being one energy, like that before the big bang. While many scientists and theorists of the House of Veneration waive their hand at the faith’s foundation, what is not ignorable is the fact that these faithful have aggressively begun to speak out against the H.O.V. Such coercion and intimidation may be peaceable now, but H.O.V. worshipers fear that it may soon lead to all out violence. Already there have been acts of agression against H.O.V. priests and faithful in Phaya, leaving at least seven dead. The attack on the Kagnisha’ church was a nocturnal ambush that killed several parishioners during the cloak of night. Their bodies were found defiled, with white diamonds stuffed into their mouths. Though some feel that this is an isolated attack by overzealous worshippers, others fear that it is only a message of things to come. It was a hard fought battle, but finally we have a winner of the 2525 Zenith Tournament. Novacon clansman and Voniko supporter, Stern Whal, took the honors after defeating the favored competitor, Corwin Victory in the championship round. Stern Whal, an expert axe specialist, carved his way through the competition with his speedy fighting style, impenetrable armor and vicious smart-weapon. Both deaths during the games came from the ruthless Novacon, in addition to a critical injury to the very fortunate Corwin Victory. See the rundown and more below. *Seventeen kills by Sir Letholdus Zantorian, H.O.V. High Vicar of Phaya. The Empyrean Legionnaire used his powerful smart-sword, “Starfire” to cut through groves of robots in a single swoop. 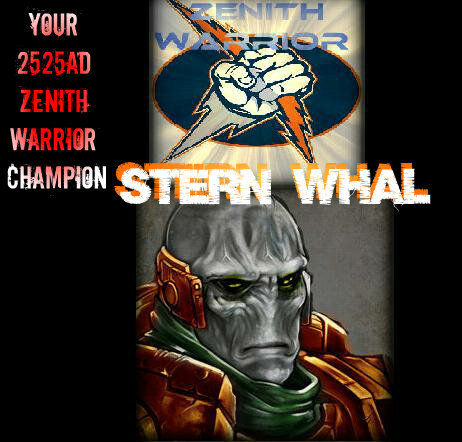 * Stern Whal scored second in overall points by slaying nearly a dozen Kaynar and Doom Squid. He also managed to not be slowed down by numerous obstacles such as steel traps, paralyzing injections and fire mines. *The ever mysterious Jade Samurai managed to squeeze into the third ranking for kills after a masterful slaying of the Mecha-Starcaller. The green warrior used his magnetic boots to scale the dragon-like beast, cutting off its head with his master class katana. *Babith Sleetha showed that viciousness and determination can help you survive even the most uncanny of situations. Babith was not only worn down by Kanyar plasma-saws, but took a serious injury from the mechanical dragon’s plasma cannon. Still she continued to fight on, holding out until the final bell, when she promptly collapsed. *Corwin Victory was taken aback by the imposing resistance of enemy robots, but still managed to break down several with his tungsten bo-staff. Corwin danced throughout the arena, shifting and hopping along to avoid danger. *The “other’ Novacon known as Naycan Rojion, started off slow, but began using his axe-spear’s distinct reach to tear apart Iron Doom Squid. Though he had the second lowest kill count, he fended against not only the squid, but Mecha-Starcaller himself. *Rongo Taine proved that you don’t need anything that you weren’t born with. The Drazziloff martial artist used his powerful fists to break down several doom squid, smashing through them with ease and using them as hand puppets. Though he was beaten unconscious by the mighty tail of the Mecha-Starcaller, many fans cheered for him as he stole the throwing blades of Zitobo Morlatox beforehand. *Though he may be agile and deadly with returning blades, Zitobo Morlatox was rendered useless during most of the fight due in part to the actions of Rongo Taine, who stole the fighter’s weapons and held them for most of the fight. From there it was a display of defense, as Zitobo distanced himself from the very dangerous Hexisan Kaynar. *Babith Sleetha vs. Rongo Taine: While Rongo Taine was in charge for most of the fight, battling Babith over a pit of water filled with carnivorous wildlife, he was unable to finish the job. Rongo came out to an early lead, dazing the Naga with his powerful fists, but Babith wouldn’t give up. After putting some distance between her and the Ullitor, she retreated to higher ground before overloading the pugilist with a storm of blade attacks from her swords and daggers. 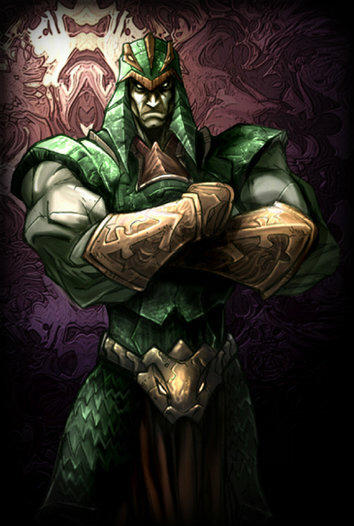 Once he was worn down, Babith used the Naga martial art of Vik’neeth to grapple Rongo and suffocate him into submission. *Corwin Victory vs. Sir Letholdus Zantorian: Some argue that this fight might have turned out very differently had the two fighters not been suspended hundreds of miles above the ground. While Corwin was unable to get through the Empyrean Legionnaire’s armor with his bo-staff, the celebrity wore down Sir Zantorian with his mobility and trick attacks that caused the knight to stumble. The key moment during the match is when Sir Letholdus became overzealous with his attack, after presuming that he’d cornered his opponent. Corwin was able to evade the charge and throw Sir Letholdus off of the platform. Luckily, the knight’s armor was equipped with flight capabilities. Though it didn’t stop him from being disqualified, it did activate halfway through the fall and save his life. *Stern Whal vs. Zitobo Morlatox: This fight was decided by who was the quicker climber. Zitobo struck an early lead by getting through Stern’s nearly impenetrable armors, but it wasn’t enough to finish him. From there the two raced to the top of the volcanic mountain they fought on, trying to be the first to claim the medical-bot waiting atop. Unfortunately for Zitobo, Whal would make it up first and steal the healing capabilities. From there it was a fight over a bridge, where Stern’s overwhelming assault easily rendered Zitobo’s light armors. Regrettably, Stern’s smart-axe proved to be to volatile, and Zitobo was unable to recover from his fatal wounds. *Naycan Rojion vs. Jade Samurai: This fight was the fan favorite of round one. Both disciplined warriors used similar fighting styles, battling with disciplined strikes and durable armors. The two battled in the nighttime glow of the coliseum, unaffected by the dim light due to augmentations and training. While Naycan kept his opponent at bay for a short time due to the reach of his weapon, the Samurai eventually backed his opponent into a corner, forcing the two to exchange a series of blows that made the crowd go wild. Both fighters were whittled down by their opponent, but the Jade Samurai’s ability to deliver more grievous injuries with each strike eventually caused enough mutilation to force Naycan unconscious. *Babith Sleetha vs. Stern Whal: The Naga warrior put forth a valiant effort within the coliseum walls to defeat the future-champion, but it wouldn’t be enough. Though Babith struck blow after blow onto Whal, his masterly crafted armors resisted most of the attacks, allowing the Novacon to sever a collection of Babith’s limbs. Even once Babith’s monitors registered her as dead, the Naga tried to continue the fight, landing several more minor blows onto Whal. Nevertheless, the Novacon’s brutal efficiency and dangerous weapon finished the snake off, ending her life before medical staff could revive her. *Corwin Victory vs. Jade Samurai: Once again, the traps of Corwin Victory helped him pull out another victory versus the heavily armed and armored Jade Samurai. Corwin used his mobility and reach with his weapon to exhaust the Samurai before unleashing a cunning ruse. Backing into a corner, Corwin waited for the Samurai to strike with his extremely sharp katana before narrowly dodging out of the way. Unfortunately for the Samurai, his blade had become lodged within the wall just behind Victory, disarming him. From there, Corwin used his bo-staff’s range to continuously batter down the Jade Samurai, as the green warrior attempted to both pluck out his sword while defending himself from a barrage of blunt attacks. The fight was called by judges just before the Samurai fell unconscious, and Corwin headed off to the championship. 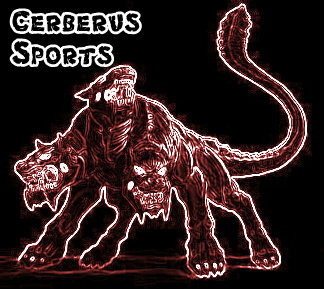 *The stage was set in the shape of three floating stone columns loaded with acid pools, gelatinous toxins and robotic opponents. The fight was nicknamed, “the Fox versus the Crab”, as Corwin’s wit and speed would be put against Stern’s armor and perilously rapid attacks. Once the match began, it looked as if the fox was looking to outsmart his opponent, as Corwin leapt to the center platform, waiting at the edge for Stern Whal to arrive. After fighting through layers of robots, the two began exchanging blows. 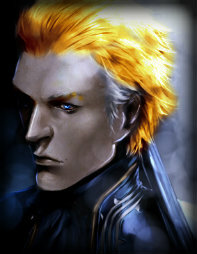 Corwin was taken off guard by the speed of his armored enemy, and was dealt his first legitimate blow of the competition. However, Victory continued to fight, and after sidestepping a series of attacks, leapt at Stern Whal and grappled his arm. It looked as if Corwin was preparing to hurl the much smaller Novacon off of the edge of the platform, when by sheer determination, Whal fought free and landed a devastating counterattack that removed Corwin’s leg, and dropped him into a free fall to the coliseum. Somehow, Corwin was lucky enough to survive until medical staff arrived and carted him off. Meanwhile, with grit, skill and the right tools, Stern Whal proved that he was the pinnacle of power, apex of assault, and [i] zenith [/u] challenger of the most challenging fighting competition in the Milky Way. March 1st, 2525, "NORMA ARM NEWS"
Still no word on the initial forces sent in late January to fight off pirates in the Pirate Asteroid Belt. “The Fear of the North”, one of two Zues Machina warships lead by General Ashton Phane, left with its two military carriers in late January to join “The Cry of Atlantis”, a 665 person Blockade Runner, and its two escorting military carriers. Estimates predicted that wave one would arrive by late April, while “The Fear of the North” fleet would arrive before May 1st. Since the massive ships were all in interstellar travel, the likelihood of being able to track the ships is nearly impossible, though experts at the P.I.K.E. facility report that they still feel the men and women aboard that ship are alive. While early reports of the missing armada are yet to meet Earth's shores, T.A.F. 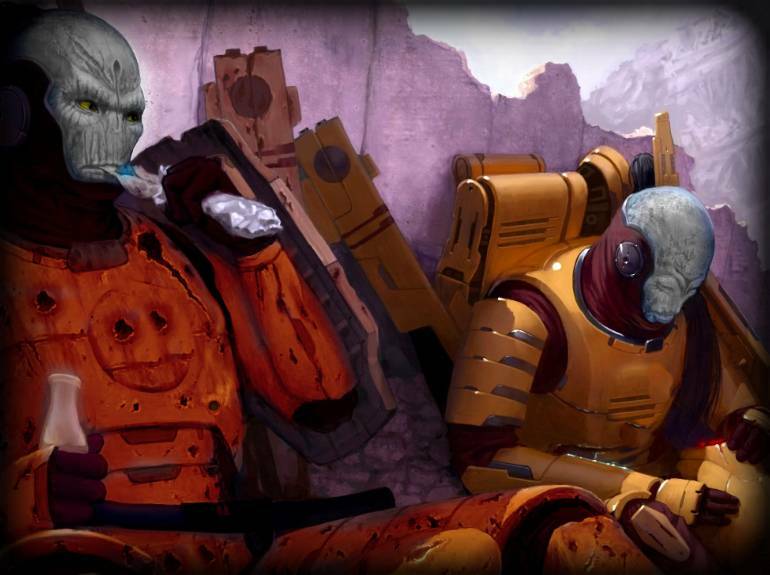 leaders in the Crux-Scuttum and Sagitarius Arms are not willing to wait in order to get investigation crews ready. "We have a responsibility to look into this serious matter," says T.A.F. General Malinkai Forger in an interview on Monday. "We're not talking about a small scout crew. This is nearly 30,000 men and women. Even if they're just having technical difficulties while in travel, we on land can not have 'analysis paralysis' when looking into the matters." 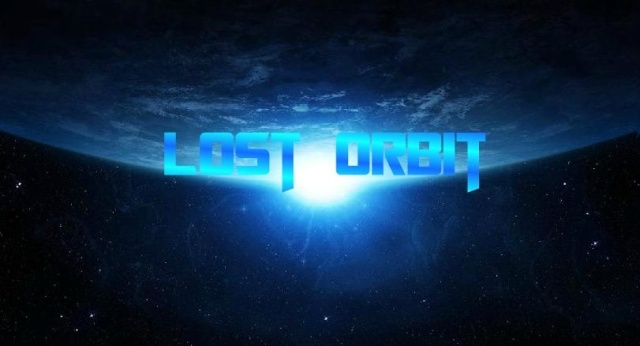 While interstellar engine problems aren't uncommon, most ships are forced to leave interstellar travel in order to repair them, which would give technical crews throughout the galaxy reads on their location. Such has not been the case thus far. T.A.F. authorities are asking anyone with information during their travels to report details immediately, and have offered a 50,000 capital reward to anyone who can help find General Ashton Phane and his ships. 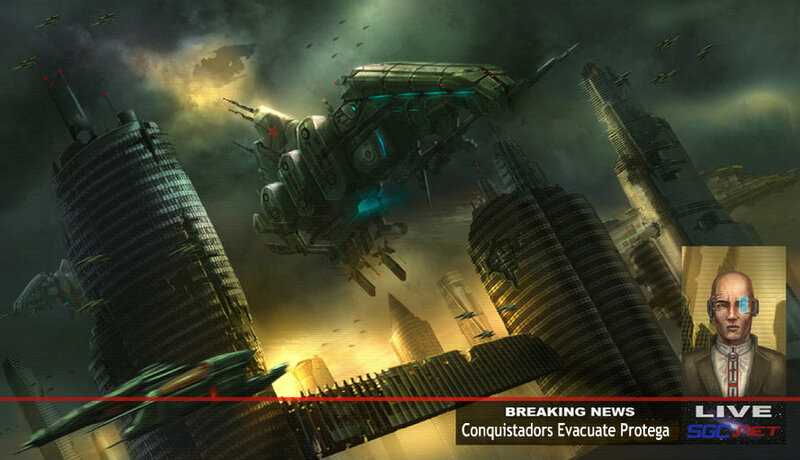 Hundreds of Conquistador ships left the planet today, creating a stir amongst Protega and Promethean citizens. While some say that the pirate bands are preparing another Earth assault, others speculate that it's something much larger. Regardless, many citizens are back on the streets now that celebratory bands of Conquistadors have left the metropolis streets. As usual, this leaves Prometheus Security Forces patrolling and protecting our people until the pirate return. While it has always remained a mystery as to the operations of the Conquistadors, the bands have forged their way into Protega society by offering protection, funding and supplies. 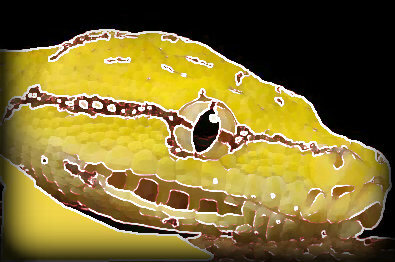 While loyalists are still praying for the day when the Terran Alliance will chase out pirates, other citizens who either have accepted the pirates or have family members who are now on board the pirate armada, fear that the pirates' aggressive and secretive operations may someday break an already struggling Protega economy. Still, the streets are momentarily quieter, as this may be the largest amassed Conquistador operation recorded. Only a smattering of defense ships still orbit the planet, leaving them vulnerable for any major attacks. 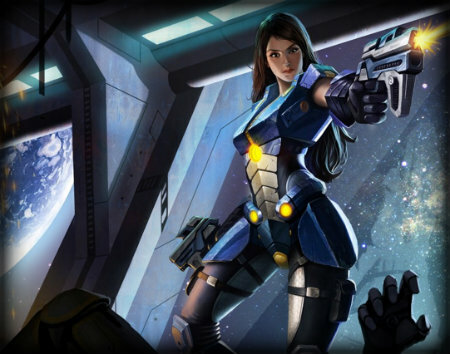 Fortunately or unfortunately, with no real signs of any other militaries nearby, it seems that the pirates have made a tactical move to leave the planet so undefended, as they can afford to do so because of Terran Alliance indecisiveness. 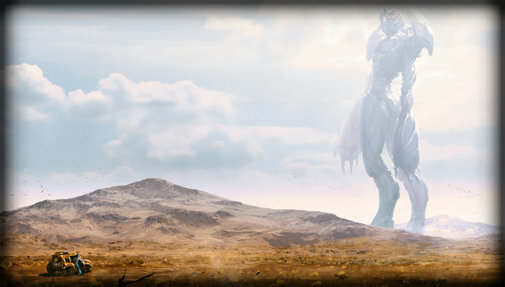 The war on planet Thezergoug continues, as both the Inhariok and Gothina clans dispute for position in the Honor Battles. What may be seen as a grotesque and morbid to most Hexisan citizens, is a ritual that dozens of Novacon politicians petitioned to return. Now, with the Honor Wars legal once more, the Inhariok and Gothina fight without question. Magnate Oreyau’ Inhariok, the wealthy leader of the Inhariok Clan, has had early victory against his rival, Magnate Utar Gothina of the Gothina clan, with the victor earning the rite of owning the planet of Thezergoug. It started early last month, when the Inhariok clan’s navy easily wiped out the Gothina clan’s orbital defenses. However, once boots were on the ground, Inhariok advances slowed. While Inhariok troops outnumber Gothina warriors three-to-one, the fortifications of the Gothina and its supporting clans have slowed any serious progress. Yet, for as dug in as Gothina warriors may be, experts say it is only a matter of time before the Inhariok eventually break lines. That’s because while the Inhariok may be currently stagnant in their battle, they are doing quite well financially on the Novacon home planet of Traydicreene. With Inhariok trade progressing, more and more unaligned clans begin to pledge their support to the Inhariok, joining their fight. This progress puts the Gothina, and its supporting clans, at a serious disadvantage. Unless the Gothina discover a new way to fight off their enemy, it will only be a matter of time before they either give up their prized planet of Thezergoug or are completely wiped out trying. "Children of Thunder, we find ourselves once again subjugated by the wretched terrorists of our galaxy. At this very moment an army of assassins lead by the Hexisan Union closes in on us, eager to commit genocide if we do not give into their demands. What is it that they wish of us this time? To once more strip our military? To yet again take away our resources? No my children. This time it is much worse. 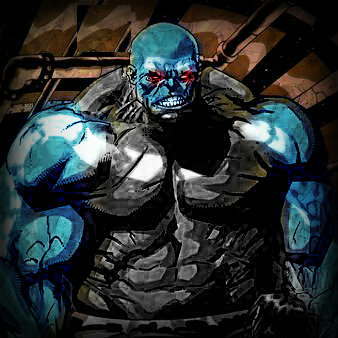 The blue demons, along with their other conquered races, will this time come in order to disassemble us as a civilization. If we will not play by their rules, they will slaughter us all. They loathe us for our capabilities, commitments and lifestyle. For we are all that they will never be. We are united. We are fearless. We are the Utopia. If this is the case, than I only have one thing to declare. Come. Challenge us once again. For this time, it is not a single army you will meet, but an entire race. Yes, that’s right my children. I hereby decree that not just our honorary military may carry arms, but the entire planet of Tevicar. Every male, female and child may now lawfully use any weapons they can assemble, gather or purchase, so long as they are used in order to defend our great planet. And to you of the Hexisan Union, I warn you now…turn back. Have some decency and admit that you will not break Canthion will. For ours is a wisdom you cannot fathom. Nor will you ever. We would rather perish as a community of protectors than live as another race of servants. Strike like lightning my children.